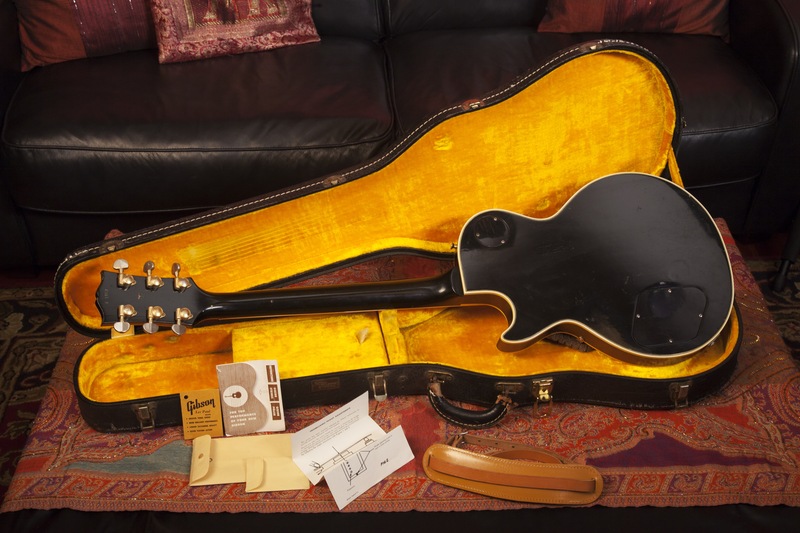 This is a rare opportunity to own the best of the Custom models, Gibson’s top of the line from the 1950s. 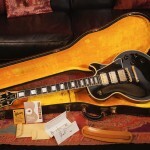 It has factory large frets, which is rarely seen on a Les Paul Custom, and weighs in at 8.4 lbs. 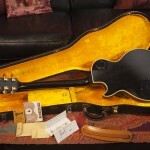 ; unbelievably light for any Les Paul. It comes with factory hangtags and factory strap, in its factory black case with yellow lining. 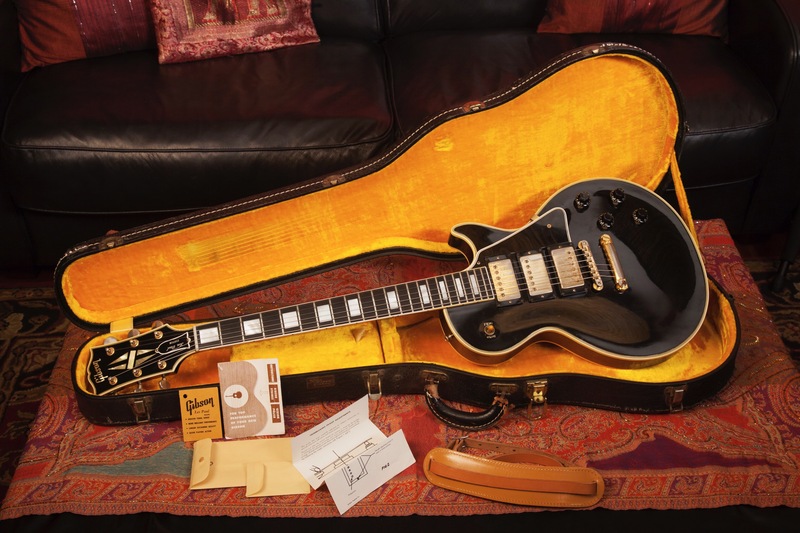 This Les Paul Custom is in All Original, Very good and untouched condition.